Here at MemberMouse, we want you to be successful. Really, it’s our job to ensure you have all the tools you need to deliver great content to your members and run a profitable business. The thing is… building a profitable membership site requires strategic planning and the correct foundation. There are so many things to keep track of when it comes to running our membership sites. Sometimes it’s easy to lose sight of the basics. For example: when a prospective customer lands on your website, what’s their experience like? Is your site a pleasant place to be? Does it encourage people to spend time exploring and learning about what you do? Is your sales funnel well designed? How about your checkout flow and members area? Design is more than aesthetics. I guess what we’re getting at is that a successful membership site doesn’t happen by accident. A successful membership site happens by design. Now, we’re not just talking about how things look. When I say design, I’m talking about the blueprint, the actual architecture of your site. Things like how long it takes for a page to load, SEO, your product & membership configuration, checkout options & upsells, and proper navigation & calls-to-action. We get that this is a lot to plan and execute! Especially if you are creating content for your members and running your business at the same time. It’s easy for these concerns to get put on the back burner. So sometimes you need an outside perspective, someone whose one and only job is to get your site running optimally, perhaps in ways you hadn’t even considered. Working with a talented designer on your membership site is one of the best ways to get to the next level. And now we’ve added another task to your ever-expanding list. “Find a designer.” But how do you find the right designer for you? It can feel like looking for a needle in a haystack! And the truth of the matter is, there are actually very few qualified designers out there who specialize in building membership sites. And then which of those really knows MemberMouse and how to implement it to its full effect? While we can’t make the decision for you, we can help focus the search. We want to make it as easy as possible for you to connect with someone who’s a good fit for your needs. That’s why we’ve compiled a list of qualified contractors who we know have provided great results for MemberMouse customers. Take a look at the list to find contact information as well as a brief description of the services each contractor provides. A monthly profile of one of our qualified contractors. For April, we’re happy to highlight the good people over at MemberDev! 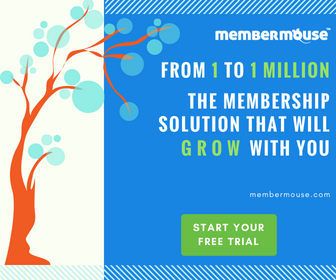 Ali Jafarian and his team have been building successful membership sites for MemberMouse customers since 2013. They’ve helped all sorts of people — from yoga teachers to gemstone enthusiasts — with everything from setup and installation to full-site design and buildout. Kyle Weiger’s story (Reflexion Yoga) is especially inspiring. He teamed up with MemberDev and turned a successful offline business into a membership site. And well… the rest is history. Read Kyle’s story. Online education for gem enthusiasts. Learn color correction at your own pace from pro colorists (who love sharing their craft). A new offer from MemberDev, now pick and choose the services you want. What’s so cool about these new services is that in the past, working on areas like these would have involved a big-budget, full-site project. But now, the MemberDev team has condensed all their years of experience building successful sites for MemberMouse customers into a focused set of strategic services aimed at creating the highest value at an affordable price. These services are perfect for anyone looking to enhance their existing site or wrap up an unfinished project. A few hours with MemberDev’s support could get you that final piece needed to launch and start generating sales. In addition, MemberDev will be building MemberMouse-specific themes to help power the next generation of membership sites. These themes will be optimized for MemberMouse, giving you better tools for user experience, customer acquisition and member engagement. You can jump on their beta email list to get notified when these themes are available. And if you are a developer or MemberMouse site designer, please reach out to us! We’d love to hear from you about any projects you’re working on. Or let us know if you want to be considered for addition to our qualified contractors list. Shoot us an email over at [email protected]. Matt is an enthusiastic Marketing Associate at MemberMouse. Originally from Chicago, Matt now resides in the Pacific Northwest with his wife and cat. He loves reading, writing and getting outdoors.